As I've said before, Glacier National Park is not just beautiful, but huge, with a staggering diversity of charismatic features. Take this locale, Saint Mary Valley, through which I hiked on a ranger-led tour between Sunfire Gorge and Virginia Falls. 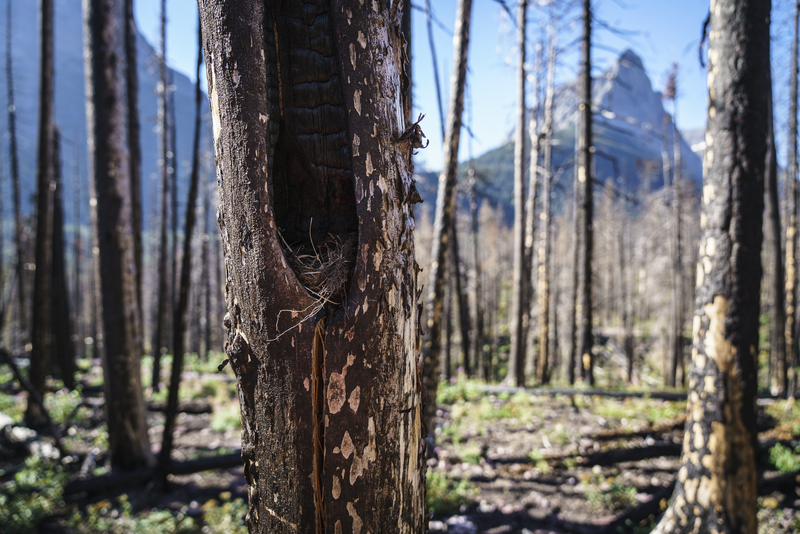 Even with the dead trees from a fire that roared through the valley the year before I visited, it's a literally awesome landscape. And it's just one section of Glacier National Park. 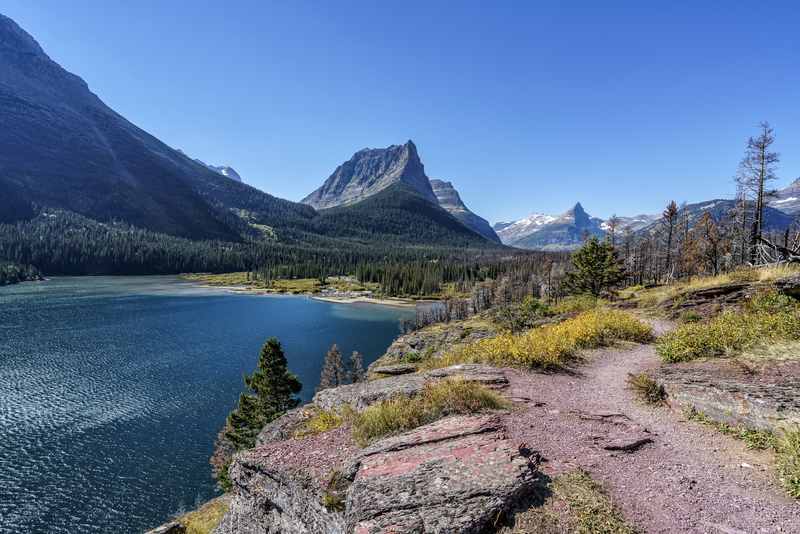 The cornucopia of thrilling environments at Glacier make it my favorite national or state park in the United States. 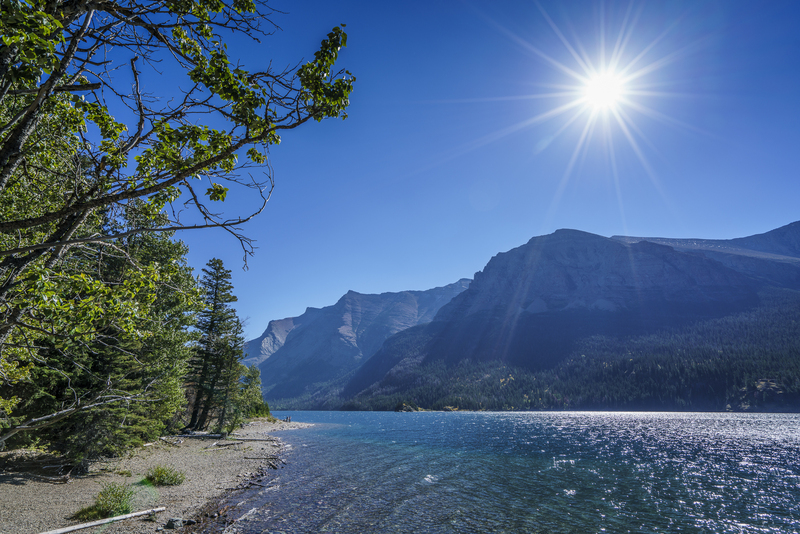 It has forests, it has lakes, it has waterfalls, it has alpine, all relatively easily accessible via the engineering feat that is the Going to the Sun Road. This makes visiting Glacier an efficient use of time and money. Glacier National Park has an astonishing array of ranger-led programs, quite a few more than any other park I visited this trip. 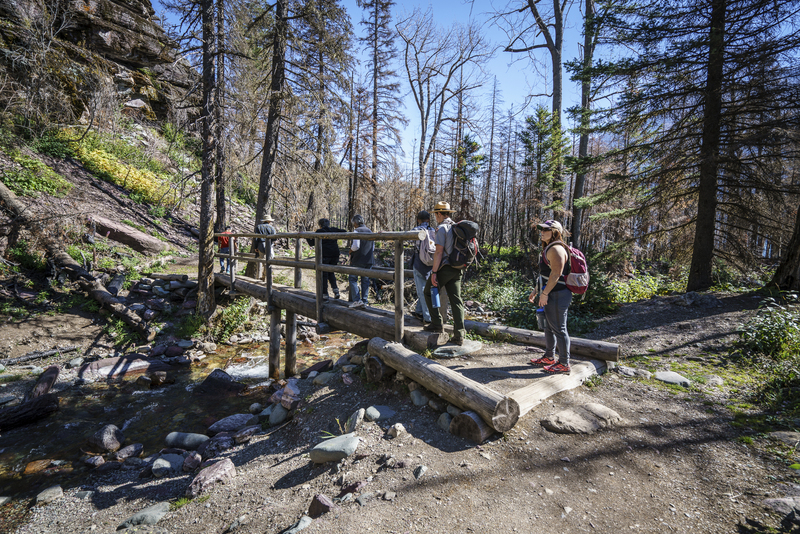 The ranger here led a hike from Sunfire Gorge to see St. Mary Lake, as well as St. Mary and Virginia Falls. I thought this nest in the hollowed-out tree trunk, that had been burned in the fire the year before, looked neat. Dusty Star Mountain looms in the background. The sun climbs the sky over Saint Mary Lake as I hike back to Sunfire Gorge from Virginia Falls. Two people small with distance stand on the shore a bit above the middle of the photo, slightly to the left. Does a bear crap in the woods? 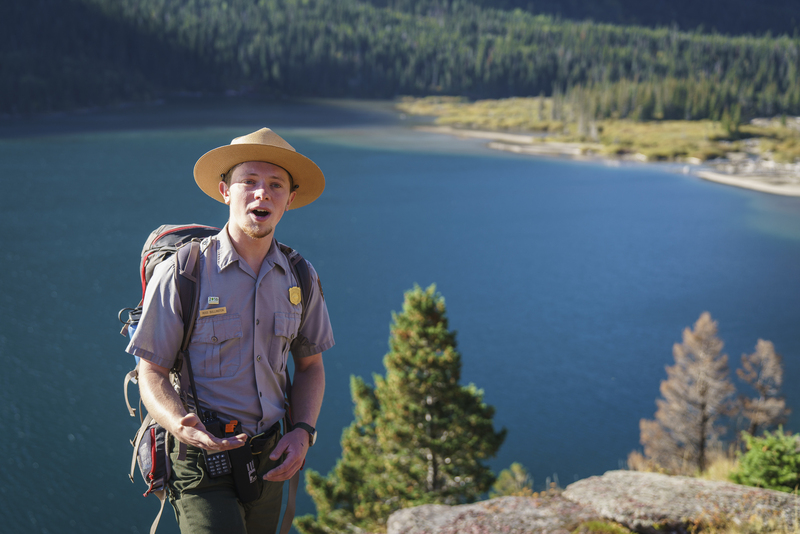 The answer to the age-old question is yes at Glacier National Park, according to the ranger who led the hike. 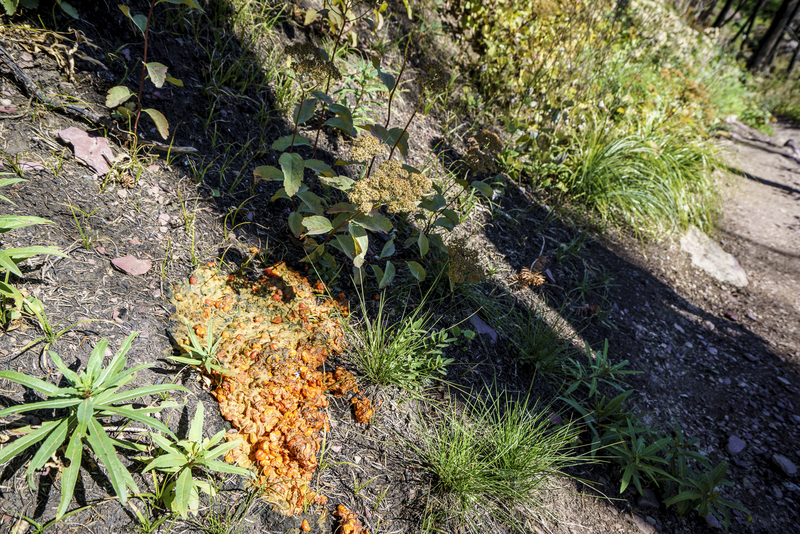 And this was fresh, from a bear who had recently passed through the area. The ranger-led hike began with more people, but many of them ventured onward after Virginia Falls. I stayed at the falls a bit to snap pictures, but then I eventually caught back up with the remnants of the group, along with a few others who'd joined.